Companies and organisations have invested heavily digitalizing services for their customers, making it easier to access info, products and self-services. It’s used all the time and from all devises. Vergic Engage allows your customers to stay on their digital journey taking full advantage of your products and services. As a company you never have to miss any opportunity to sell or serve your digital customers. No matter if your goal is on-line sales, customer support, lead generation or complex support processes; with Vergic Engage you can master the digital customer journey. Any company or organisation, no matter vertical, can define some sort of customer journey. 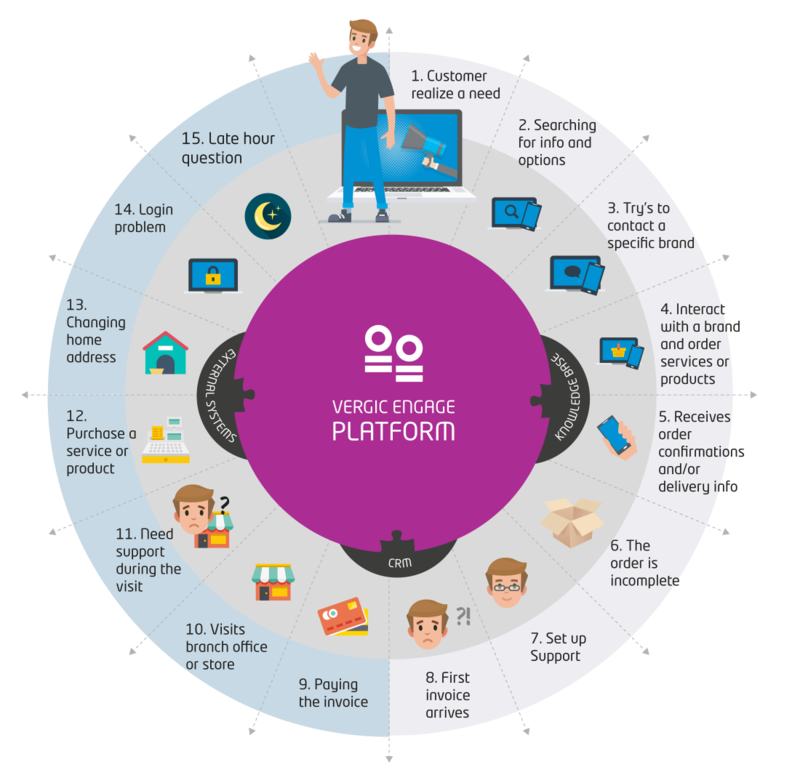 The Vergic Engage Platform will orchestrate that journey while keeping the customer in a digital context. This leads to increased customer satisfaction and operational efficiency. 1. Unknown visitors enters your web page or app. 2. A visitor profile is built based on interactions and behavior. If the customer is logged in the profile can be enriched with data from other systems: CRM, ERP, Billing etc. 3. Proactive actions to engage with customer can be tailored to every customer journey. Choice of channel and type of engagement offered is dynamic and based on business rules and availability. 4. The visitor is met with a proactive and relevant engagement offer. In an interaction the customer is kept in the same digital context handled by a Bot or Live agent. Todays ever changing digital world makes it more important than ever before to have a flexible and easy-to-integrate digital platform. 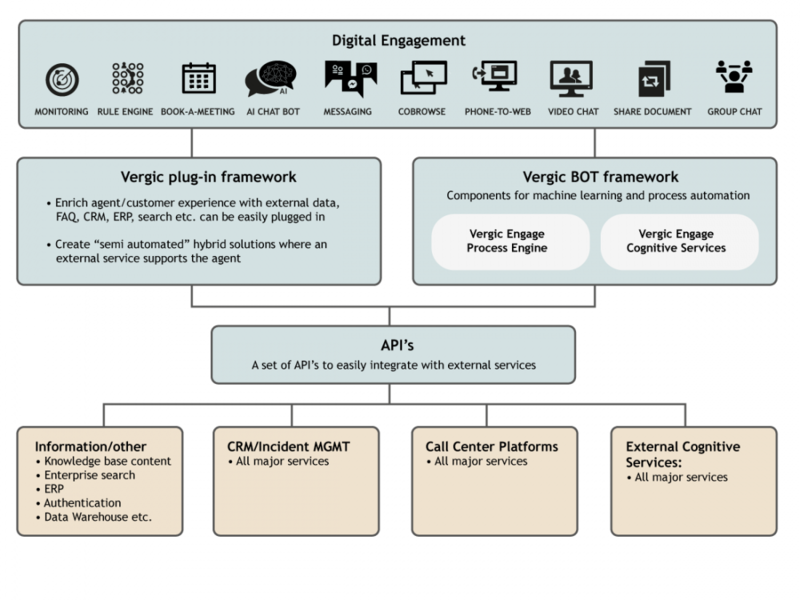 Unlike many other platforms Vergic Engage is built to support an open platform strategy. We don’t believe in locking in our customers in large, inflexible solutions. 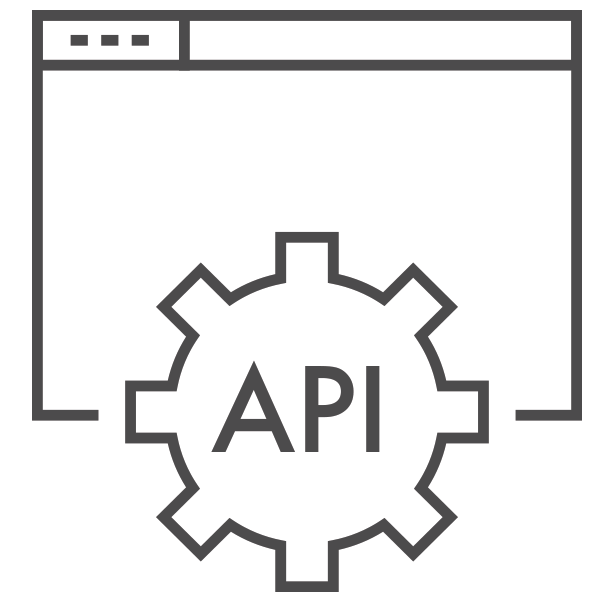 Instead we have made it possible to easily integrate external systems trough APIs. This gives you a flexible and future proof solution. Vergic Engage is built with a “digital first” perspective. 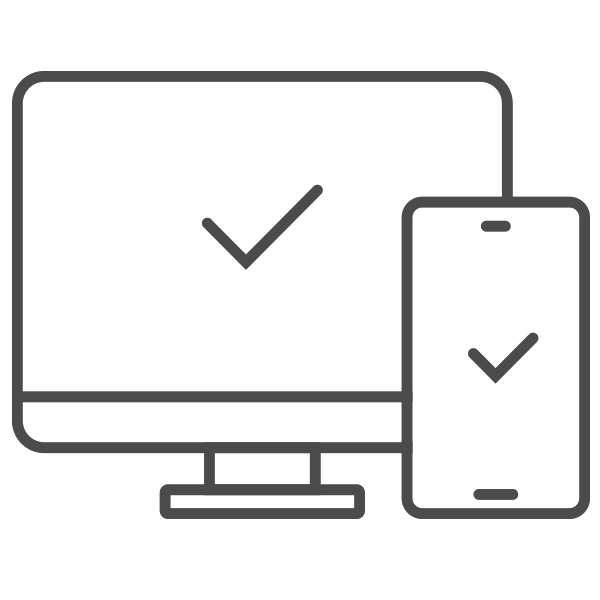 Everything we do and develop is done with the digital customer in mind, making it easy for your organisation to deliver a successful online experience.